So... five minutes left in the game and the Seahawks were down 12 points. Then they scored 15 points in 44 seconds. I hadn't quite given up, but I was fairly certain the Seattle season was over. So I just watched because you always watch to the end. Then they got a TD. Not enough time, I said. I didn't believe until the onside kick. That recovery was beautiful. Not in the slightest bit expected, either. I was shocked. But suddenly a spark of hope lit up within. When they got the second TD... THEN the 2-point conversion... I was stunned. Simply shocked. 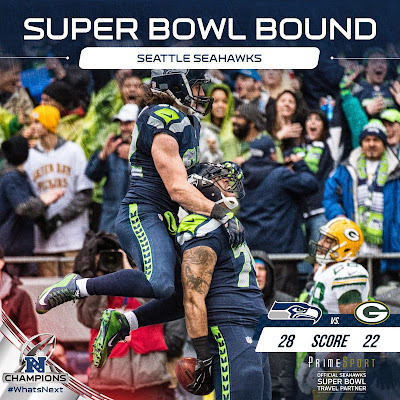 With the time left, I knew Green Bay had a good chance to tie it, and a decent chance to win, but the Seahawks finally arrived and actually played the freakin' game. 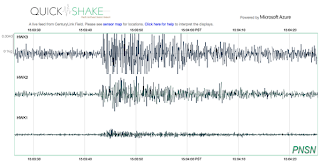 Hubby-Eric and I had the quake monitor going, too, so we were getting about 10 seconds advance notification of big plays. The stadium really shook when there was a big play. So we saw those TDs coming. I was disappointed when the Packers scored a field goal... it was very nearly tipped, but the tie was better than a flat out loss. When the 'Hawks won the toss, again I felt a great deal of hope. 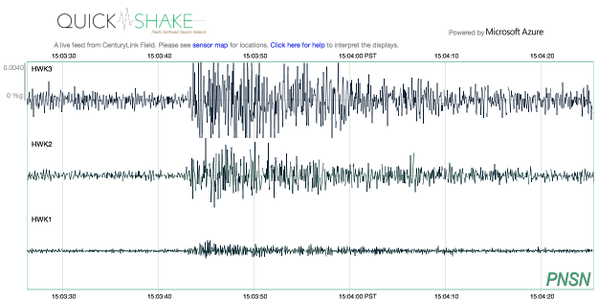 And when the quake monitor showed a HUGE jump, both Eric and I watched intently as the Seahawks won on that final TD in overtime. 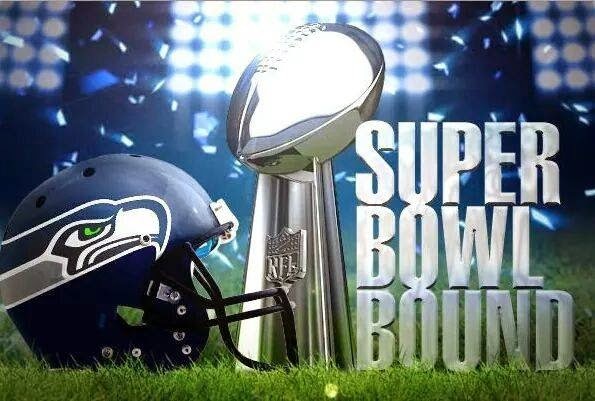 Now to see who they will face in the Superbowl... and to get ready for two weeks from now. Wow.